Marijuana advocates lay groundwork for legalization in Mass. Since the start of legal recreational marijuana sales, Denver police have cited about one person per day for public pot smoking, the city’s police chief said Monday. Chief Robert White told members of a City Council committee that officers issued nine citations for public marijuana consumption between Jan. 1 and Saturday. White said there have also been seven burglaries of marijuana businesses in that time, but only one of those occurred at a recreational marijuana store. The burglary numbers, White said, are in line with what the city has previously seen in the medical marijuana industry. “Looking at the number of burglaries that we have in general and the number of burglaries we have of dispensaries, that number is probably relatively consistent,” White said. The enforcement numbers are part of what Denver’s new marijuana czar said Monday was a fairly problem-free start to the nation’s first legal sales of marijuana from stores that can sell to anyone over 21 for any purpose. 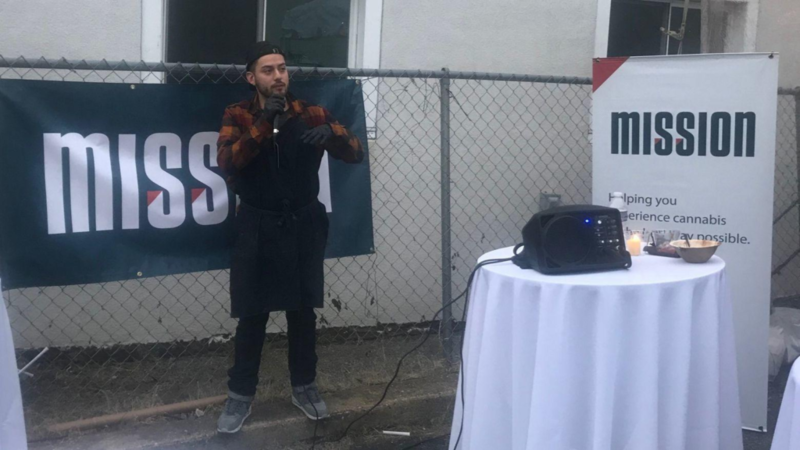 Ashley Kilroy, the executive director of marijuana policy for the city, said good communication between city leaders, police and store owners ensured that big crowds at the stores have not led to mass chaos. “We were very lucky that everything went so smoothly,” she said. Denver was home to the majority of stores that opened for recreational sales on Jan. 1, and, since then, the city has continued to issue licenses. Judy Steele, from the city’s Excise and Licenses department, said Monday that the city has now issued final licenses to 28 recreational marijuana stores as well as 43 commercial cultivation facilities, nine marijuana-infused products makers and one marijuana-testing lab. So far, Steele said, the city has held 64 public hearings on prospective marijuana stores. Only eight of those hearings were contested. The city has denied four applications, all for what Steele said are “proximity issues,” meaning they are too close to a school or another marijuana business. Councilwoman Jeanne Robb said she believes neighbors’ voices aren’t being heard enough when they protest. Robb said the public hearings don’t allow speculation on the store’s impact on the neighborhood. “I think this just goes to show that the criteria we set up make it really hard for a neighborhood to have any history that they can really show it’s going to be a problem on into the future,” she said.